This is a short guide to safely buying Power Ledger (also known as POWR coin) on the Binance exchange. Power Ledger uses blockchain technology to enable households and buildings to trade excess solar power peer-to-peer to make power more distributed and sustainable for consumers. The Power Ledger system tracks the generation and consumption of all trading participants and settles energy trades on pre-determined terms and conditions in near real time. Power Ledger is one of the most successful Australian ICOs to date..
To buy the token, you first need to sign up at Binance. Next you need to click on the “Create Account” link. Go ahead and Register at Binance by adding your personal details. To sign up for Binance you’ll need a valid email address and create a secure password. Step 2 – Activate Your Binance Account. You’ll be asked to activate your account before you can log in on Binance. Go to the email you entered and click on the link sent by Binance to complete the registration process. Go back to Binance.com and use your new account details to log in. Step 4 – Fund your Binance Wallet. Before you can buy your new tokens, you need to have funds in your Binance wallet. Note that you can’t send fiat currency direct to Binance. Instead you need to send your favorite crypto (we recommend ETH or LTC due to low transaction costs and fast transfer times). 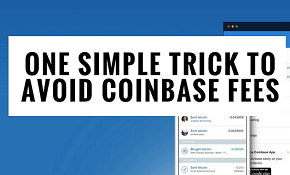 The easiest way is to buy crypto at Coinbase.com then send it to Binance. Here’s our simple guide to buying Bitcoin (and other crypto) at Coinbase.com. Back at Binance, click the “Funds” link on the top menu bar, then the “Deposits” link on the sub-menu that pops up. You now need to find the deposit address for the specific type of crypto you are transferring over from Coinbase. In this example we’re using ETH. First, search for “ETH” in the search field. Then click on the “Deposit” button. Now, copy the ETH Deposit Address and use that as the destination/outward address at your Coinbase account. Wait a few minutes and the crypto (ETH in this case) will be credited to your Binance account. Step 5: Trade your Ether for POWR tokens. Click on the ‘Exchange’ link at the top menu, next to the Binance logo. Then click on the “Basic” option that is displayed on the drop-down sub-menu. Search for the POWR/ETH pair among the list displayed on the page. Do this by selecting the “ETH” tab and searching for “POWR” in the search box. Under the POWR/ETH chart, you’ll find the Buy POWR section. The first box with the Price label displays how much ETH or fraction of ETH you pay to buy each POWR token. The second box with the Amount label is where you enter the number of Power Ledger tokens you plan to buy. You can also use the percentage buttons to indicate what percentage of your funds you want to spend. Clicking on the 100% button uses all the ETH in your account. Clicking 50% uses 50% etc. If you use the percentage buttons, the number of tokens you can buy will be automatically entered into the Amount box. The Total box shows how much Ether in total you are paying for the transaction. This includes any transaction fees by Binance. Go ahead and Click on the “BUY POWR” button. Are you new to Bitcoin? For a limited time only, you can grab our Bitcoin for Beginners course for absolutely free. You can get access right here. Copyright 2018 by Coin Street.